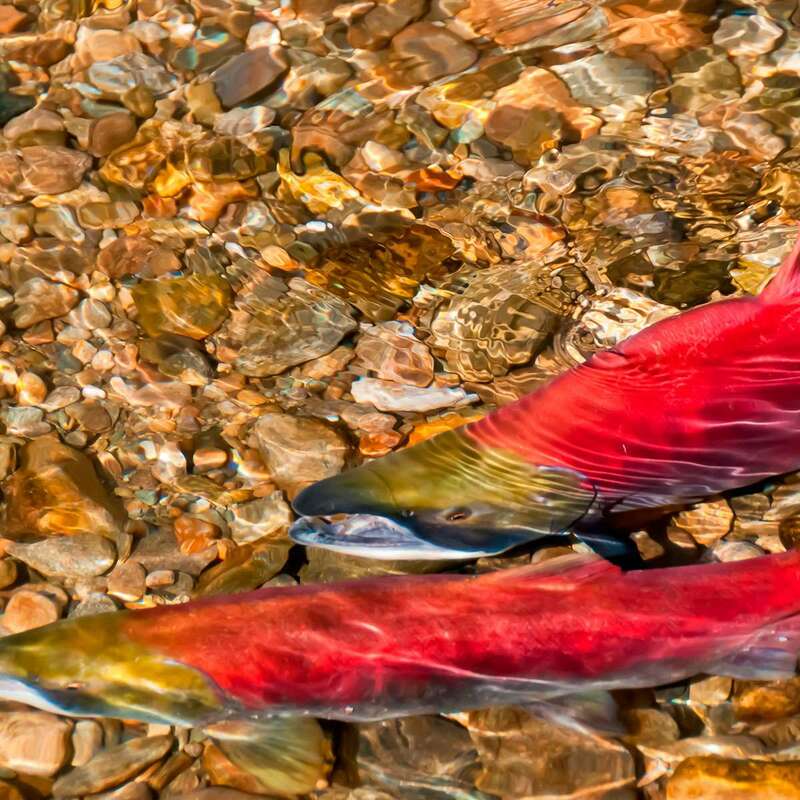 Sockeye salmon spend portions of their lives in both fresh and salt water. When they are in the ocean, sockeye are silver with deep blue-colored backs. When they return to rivers and lakes to spawn, they develop dark green heads and bright red bodies. Males also develop a humped back and hooked nose. Sockeye salmon return from the ocean to the streams and lakes where they hatched when it’s time to spawn. The fish typically reproduce along the shoreline of lakes or their tributaries. Juveniles then spend 1 to 3 years in the freshwater lakes before making their way back to the ocean. Sockeye salmon live in Alaska and across the Pacific Northwest. The Ozette Lake population of sockeye salmon is listed as threatened within Olympic National Park, and an endangered population lives in the Snake River. A variety of factors have contributed to the decline of sockeye salmon populations. Years of logging has increased the sedimentation of tributaries where sockeye spawn, decreasing the availability of suitable habitat. 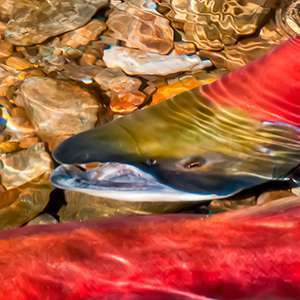 Climate change is warming freshwater streams, making sockeye more susceptible to predators, parasites and disease. Overharvest of salmon has harmed their populations, as have hydropower projects and other development that block fish passage. Scientists prioritize maintaining good quality habitat to help sockeye salmon recover, including protecting spawning areas and working with local landowners to keep land near salmon habitat undeveloped. National park staff and local partners are also reconnecting isolated habitat by removing stream blockages and working to restore degraded habitat. Take action to protect Olympic National Park.